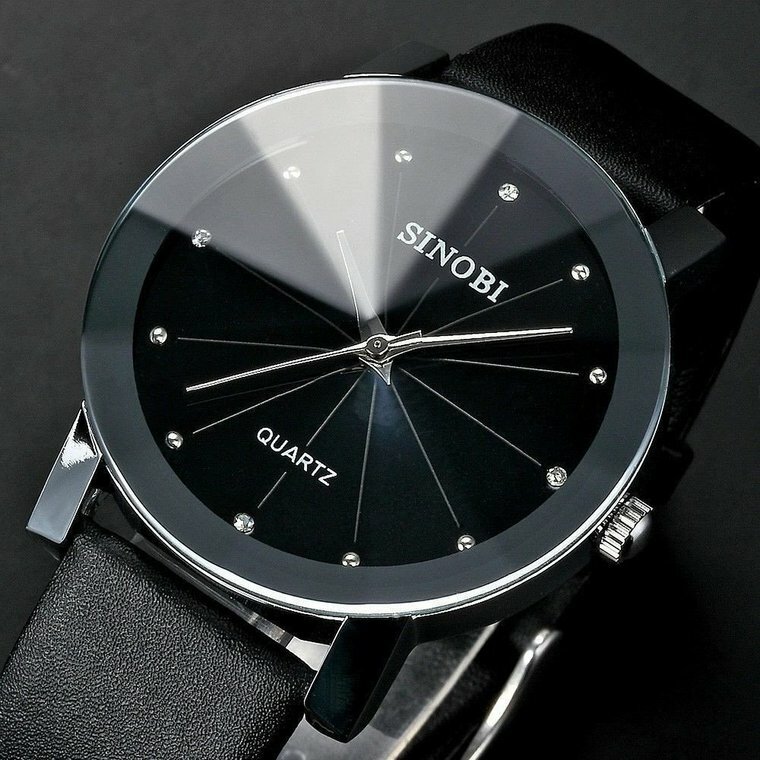 [en] -Dimensions: diameter: 40 mm thickness: 7 mm case material: plastic band material: Pu leather windshield material: mineral glass (facetdesign) -High-precision quartz movement -Water resistant: 30 meter water resistant (wash your hands splash just getting wet in the rain, showers, swimming and diving, etc. 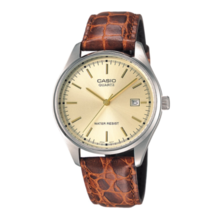 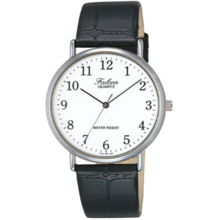 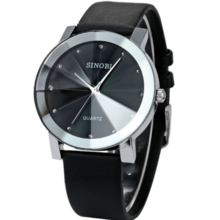 does not respond) In style on a simple faith does not get tired of dial with easy to read -Convex galasface simple present is the most popular and thin design, chic leather band and an innovative design. 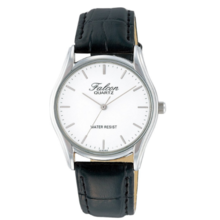 Sleek chic and fashionable and equipped with only the hour hand, minute hand and second hand to dial a simple and lean. 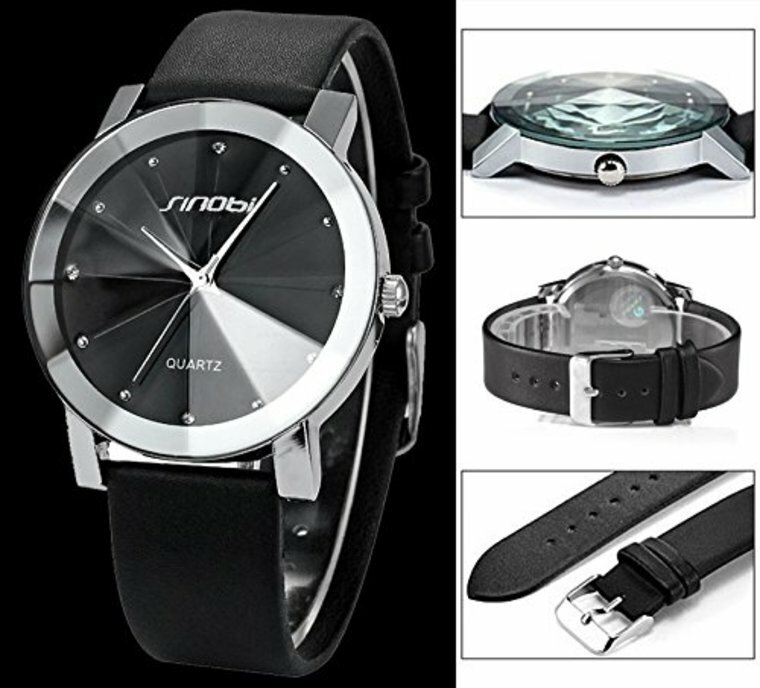 [en] -Rotating bezel, 1 / 1 sec chronograph (60 minutes total) Allergic tolerance check: could not be confirmed by the manufacturer, suitable for people with allergies. 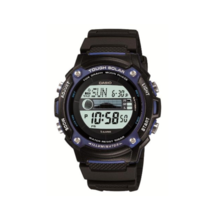 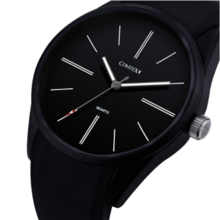 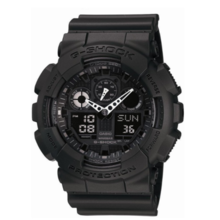 -China -Water resistance: 10 ATM water resistant -Accuracy: +/-15 seconds per month -Second hand stop device, date early correction device, charge warning function, overcharge prevention function, when fully charged approx. 5 months moving Even a little light can be driven. 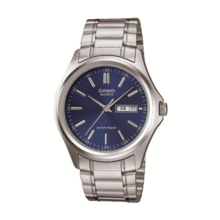 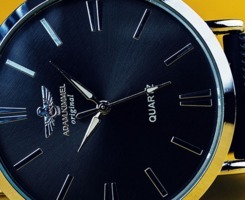 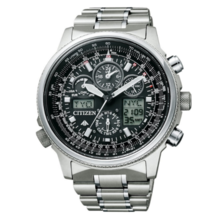 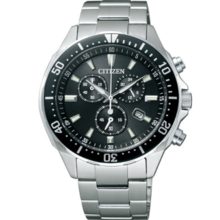 Designed to drive, even a slight light fluorescent room light, lamp, everyday watch eco-drive. 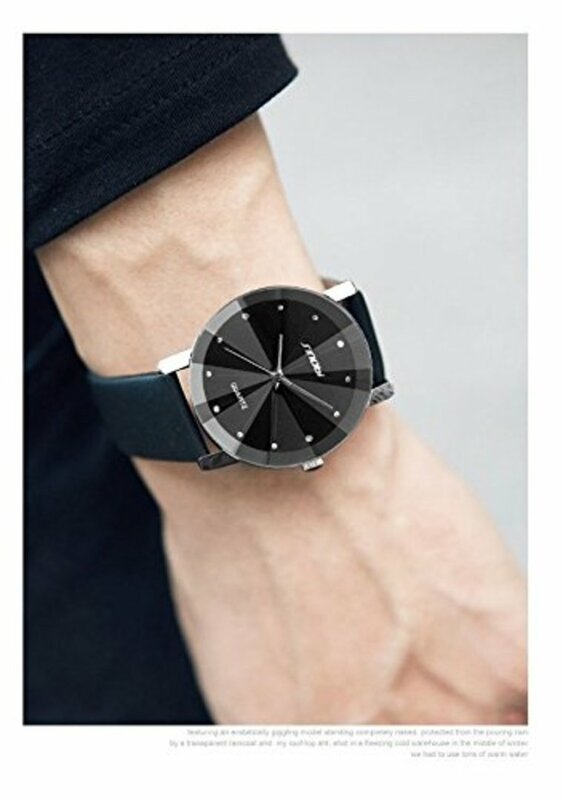 You can use with peace of mind without having to worry about life in stop watch. 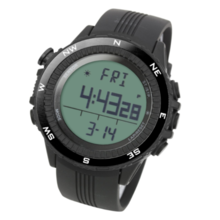 [en] ● Case size: 42.5mm × 36.0mm ● Accuracy: ± 20 seconds or less / month ● waterproof everyday life ● Band Length: 145 ~ 185mm ● Battery life 2 years ●Arm around: 145 ~ 185mm [cheap Casio] ※ battery that is built into the watch is the monitor for the battery for verifying operation. 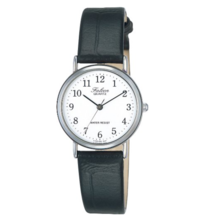 -Convex galasface simple present is the most popular and thin design, chic leather band and an innovative design. 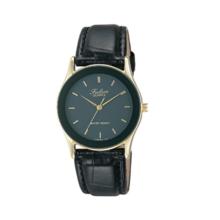 Sleek chic and fashionable and equipped with only the hour hand, minute hand and second hand to dial a simple and lean.